Here are two incredible white men. Michael Wittman, the NAZI Tank ace and Neil Armstrong, the astronaut. 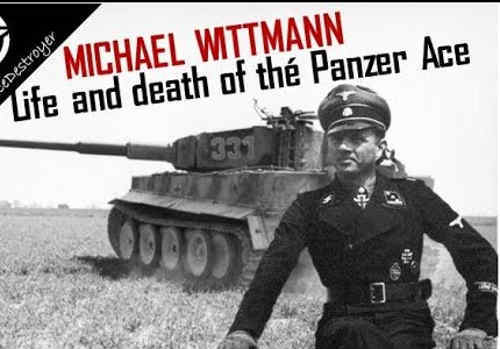 Of course, we must give Wittmann his due. He faced many more life and death situations than Armstrong. But I want to show you some similarities between these incredible white men. And I want to point out yet again, that if it wasn’t for the Germans, “the human race”, i.e. WHITE MEN, would NOT have been on the Moon!! Everyone takes the credit, but the vast amount of credit should really go to our incredible brethren, the GERMANS, the most LIED ABOUT WHITE PEOPLE ON THE PLANET!!! We should almost be saying: The Germans got the human race into space. If it wasn’t for the Germans, there would be no NASA. It was the Germans, mostly, who made it possible for Armstrong to get to the moon in the first place. In a nutshell, this was an effort by members of THE WHITE RACE! Rockets, space, and most other things are WHITE RACIAL super-success stories! Now and then I have heard about the Moon Landing Hoax, and astronomy used to be my hobby when I was a teen. I love astronomy and space, and I gave the moon landing hoax a few cursory glances but it fits in completely with what we know about science so I don’t really hassle about the technical issues. There’s nothing suspicious there. I can discuss it in more detail if it’s needed. However, one thing that did pique my curiosity was when I saw photos of Neil Armstrong and his crew and the way Armstrong spoke. And I found that pretty weird. So I spent quite a bit of time looking quickly at interviews and quite a few other things, just to see if i was missing something. The one thing that came through clearly is Neil Armstrong as a personality. I even watched an interview BEFORE Apollo 11, by all three guys and AFTER Apollo 11. Armstrong’s behaviour is definitely weird. His fellow astronauts are much more comfortable. He’s the one struggling. He is the one who is extremely uncomfortable. You can see that he hates the focus. He hates everyone looking at him. The other astronauts hate having to wait for him to speak. I think what we have here is a man who was NOT a “natural leader”. He is super-intelligent, he is very competent but he’s NOT what you would call “a natural leader”. This is not your normal self-confident guy. But, in various tests, NASA concluded that Armstrong was TECHNICALLY the best man to command the lunar landing module. All these astronauts had been pilots, even test pilots doing dangerous work. They knew how to handle things under stress. They knew how to make complex decisions in extremely dangerous situations, but Armstrong was the best. Under stress, there was nobody like him. He was also on Apollo 8, where they nearly died. His co-astronaut on that mission had nothing but the highest praise for Armstrong. When it came to landing on the moon, they had estimated only a 50% chance of success. There were lots of abort points, minutes apart. During the actual landing, the computer was going to land them in rocky craters, and Armstrong had 60 seconds of fuel in which time he had to make a critical decision. He decided to land and he found a spot and plonked the lander down there. Interestingly, he had to switch off the engines about 5 feet above the ground, because the lander actually falls the final few feet. There was a “stick” or probe under the lander, which when it touched the moon’s surface, a light went on in the cabin and then they knew to switch off the engine so that the lander could fall. If you look closely at the actual lander photos you’ll see even buckling and damage on the space craft when its on the moon’s surface. That is very likely from the landing. I have formed the opinion during my lifetime that you get various nerds and geek types, who are not “natural leaders”, but they are extremely brilliant at what they do. In many ways, Napoleon, and even Hitler, were nerdy geeks to a certain extent. Napoleon, especially, was a nerd. But when it comes to doing certain work, where you need super-high technical intelligence, these types of men are irreplaceable. It is simply a fact that the commander of the moon lander was also the “team leader”. But all of them had extremely dangerous work to do. While Buzz Aldrin, was very approachable and friendly, and enjoyed the attention and liked to talk, he himself had a massive mental breakdown after Apollo. He got divorced. He had a drinking problem. He even wrote a book about it. Collins, the Command Module Pilot, seems to be much more irritable with Armstrong. I think there may even be a personality clash there. Armstrong left NASA 2 years after landing on the moon and spent the rest of his life as a university lecturer! So he was around. He was busy. He was among people. But, he just wasn’t a man who liked being the focus of attention. He may even have been a stutterer, or been prone to it. It does seem as if there is an emotional aspect to him too, but he bottles things up inside. HOWEVER, despite his shortcomings, he did NOT go into mental meltdown after Apollo, the way Buzz Aldrin did! He remained calm and continued with his life. I think later, in the final years before he died, he relaxed some more and you can see it in interviews. It should also be said, that on the moon, Armstrong was the first man out. He was on the moon for 15 minutes, doing work on the surface alone, and talking. He was calm and active and quite happy in his environment. He was on the moon for 15 minutes before Buzz Aldrin came out to join him. Also, most of the photos of Apollo 11 on the moon were taken by Armstrong of Buzz Aldrin. So Armstrong was working away there and very busy throughout the 2.5 hours that he was walking on the surface of the moon. 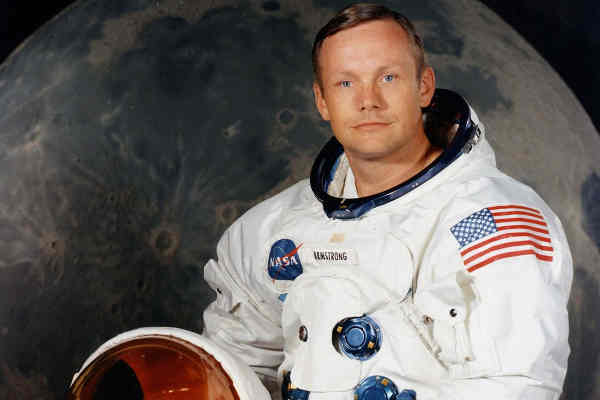 I think we should give this man credit, that he deserved the title for being the first man to walk on the moon and that he kept his life togther afterwards. He was involved in law suits. People were trying to make money out of him, etc. He was just someone who had his own way of coping with things. I think that Neil Armstrong and the Waffen SS tank commander Wittmann, are similar in that sense, of not being commanders of large numbers of men, but in their own environment, they were white men who were geniuses, and in the heat of the moment they could think and act fast and calmly when others would break down. It is very possible for example that if Armstrong had NOT been the pilot of Apollo 11, that whoever was the pilot, would have ABORTED the landing when the computer was sending them into the craters. The actions of Armstrong, in those 60 seconds, when NASA counted them down and told him he had 60 seconds to make a decision … that those 60 seconds are what made Apollo 11 work, whereas, if it was someone else, it would have been an abort. The lander COULD ABORT and it could drop the bottom stage and fire to head back into orbit. It was risky, but it was possible. I think a lesser man would have done that. But I think that Armstrong, like Wittmann, could operate under extreme pressure and remain cool and calm during EXTREME LIFE THREATENING SITUATIONS! And that type of super-technical skill, combined with a super ability to think calmly in the face of death … is what puts Neil Armstrong right up there, ALMOST, with Michael Wittmann of the Waffen SS. And a final point: How many of the devices, that put “white men” on the moon, and were used by white men on the moon, CAME FROM GERMANS? Without the NAZIS and the Germans after WW2, there would have been NO MOON LANDING. So let’s give credit, where credit is due!! Finally, if the moon landing never happened, the Russians would have been churning out the evidence at that time that this was so. They were monitoring it all every step of the way, and intimidating them was the main reason why JFK had put this project forward. Remember, JFK, was a victim of the JEWS! Its a topic we’ll return to. “Mankind on the moon” … was done by WHITE MEN! NEVER FORGET THAT!